A wonderful mixture of metal and melodic rock – that’s the best way to describe D’s music. 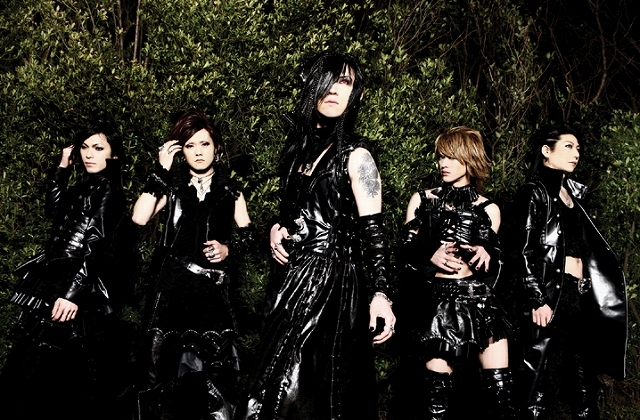 It wasn’t long after the band’s formation that they gained popularity and success, probably because they’re quite different from your average visual kei band. Their strongest points are, without a doubt, the vocals and variety of their compositions. Their discography includes heavy guitar songs, as well as beautiful, melancholic ballads, and even medieval music and folklore from around the world. No matter the style, the songs are always a display of ASAGI’s vocal abilities. His voice can truly charm, and no wonder – he’s been working on it and improving in various bands even before D.
Aside from their musical activities, the band publishes a magazine called “Mad Tea Party” featuring, amongst others, interviews with artists from the visual kei scene, as well as a vampire novel written by ASAGI, on which many of their songs are based.